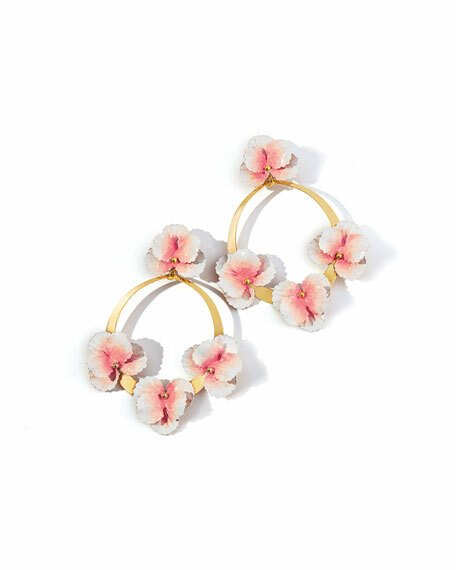 Oscar de la Renta flower garden hoop earrings. Yellow golden posts with thread-wrapped frame. Open hoops with graduating flower accents. For in-store inquiries, use sku #2484766. Exclusively ours. Ashley Pittman "Vuka" dark horn earrings. Signature inlaid bronze hardware. Faceted red crystal bead fringe. Approx. 2.8"L x 1.8"W. For pierced ears. Handcrafted in Kenya. 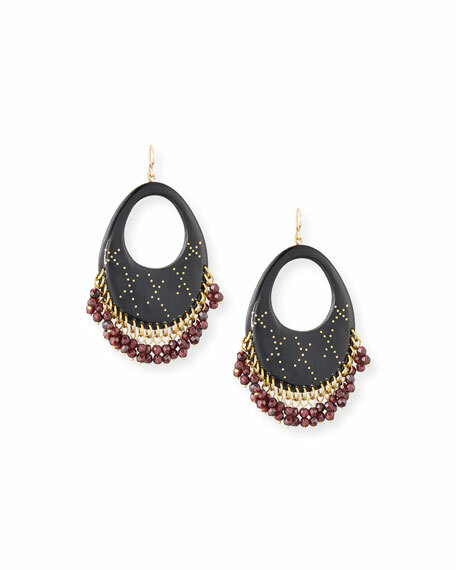 Machelle drop earrings by Jennifer Behr. Brass hardware with antiqued finish. Hand-painted flower stations. 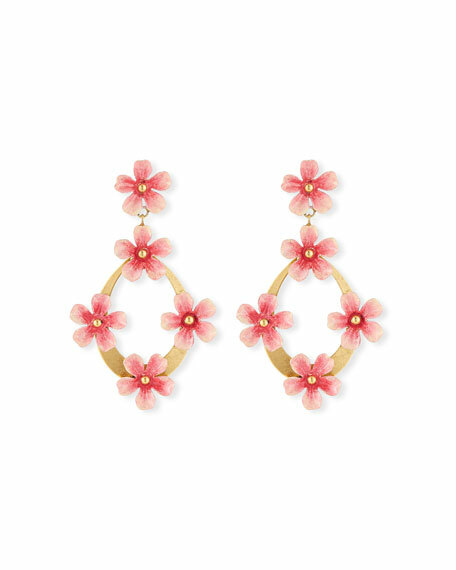 Oval hoop drops with flowers. Post backs for pierced ears. Made in USA. 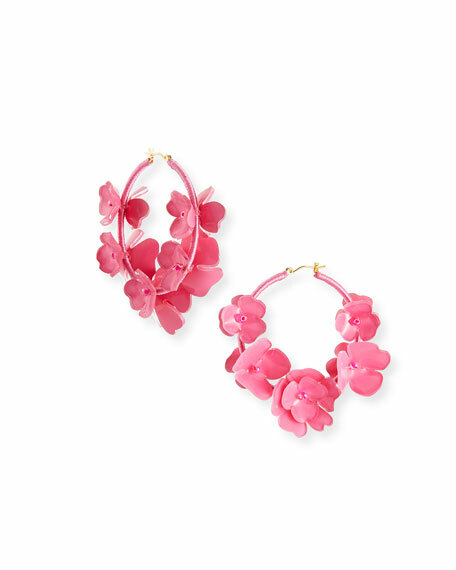 Voleta flower hoop earrings by Jennifer Behr. Polished yellow golden brass hardware. Hand-painted flower detailing. Clip on backs. Approx. 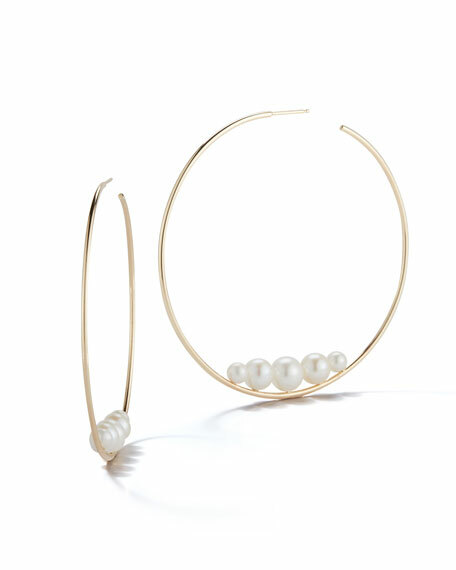 2.5"L; 2.3"W.
Mizuki floating five-pearl hoop earrings. Polished 14-karat yellow gold hardware. Five naturally hued freshwater cultured pearls. Round open hoop silhouettes. Post backs for pierced ears.